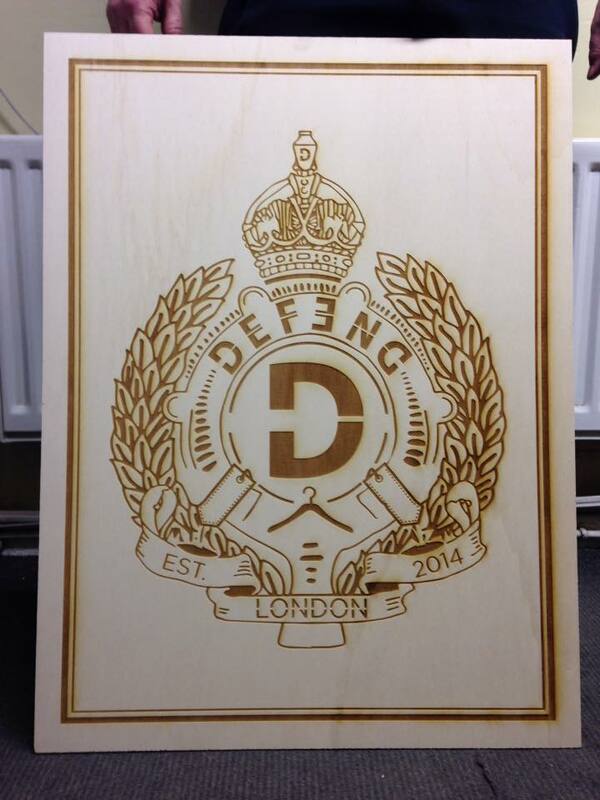 We were asked by the clothing line DEFEND London to produce a large scale laser engraving to go along with some back lit films we produced for light boxes ready to promote a new clothing line. the laser engraving is 600 x 800mm and took over 4 hours to engrave. We were very pleased with the results and DEFEND London were thrilled with the finished results too. If you have any equiries about a large scale or one off specialist idea that is not on our website please contact us with the idea and we will be in touch to help bring it to life.